9 comments on "The Creative Closet || Thanksgiving Outfit & The Final Creative Closet"
Sorry to see the linkup ending - I've always loved your prompts! Such a lovely outfit! The perfect thing to hide that food baby we all get on Thanksgiving. I love that you pull off the fur vest in a casual outfit. 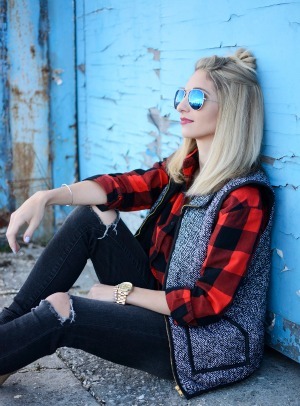 I love the idea of the vest paired with the dress - such a perfect holiday look! I love it! Comfy and still put together! You pull off literally everything - so stunning! 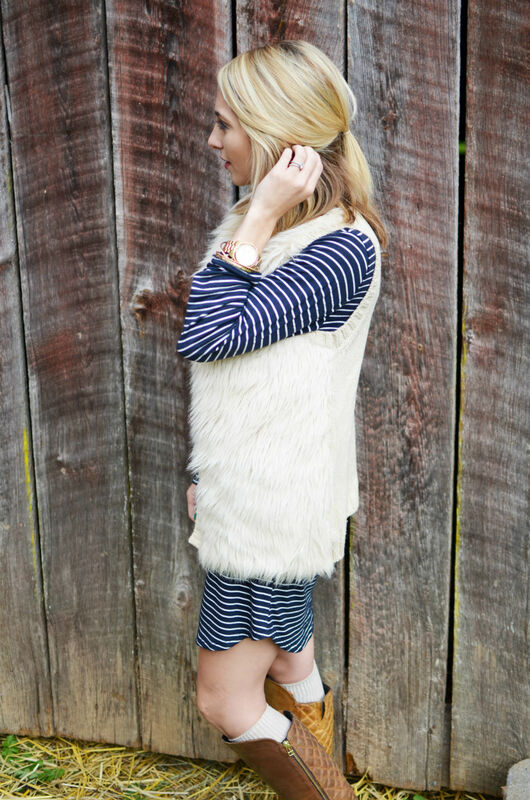 I love the furry vest on top of the stripes, and the boot socks add a perfect cozy touch! I love your outfit! Very cute vest! 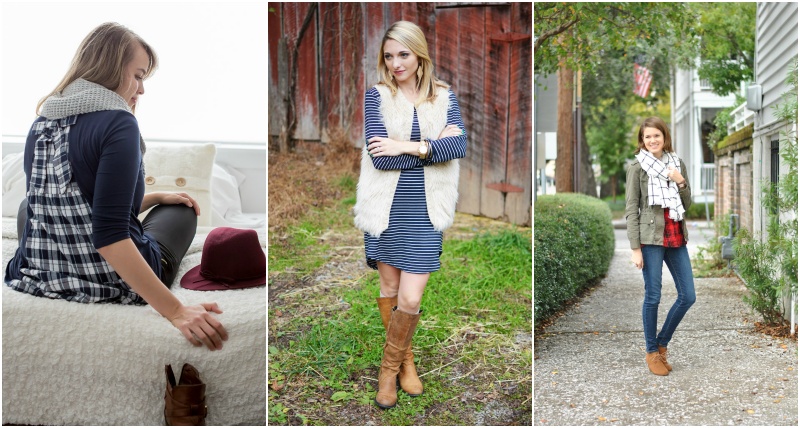 I am so sorry this is the last creative closet link-up. I am so glad I discovered your blog and this linkup months ago. Your Thanksgiving outfit is tres chic. I love the vest. You are warm and polished. Happy first Thanksgiving to Maddox. You guys have a great holiday! Gorgeous outfit as always, friend! I'm with you - it's either leggings or a dress for me on Thanksgiving, give me all the food. 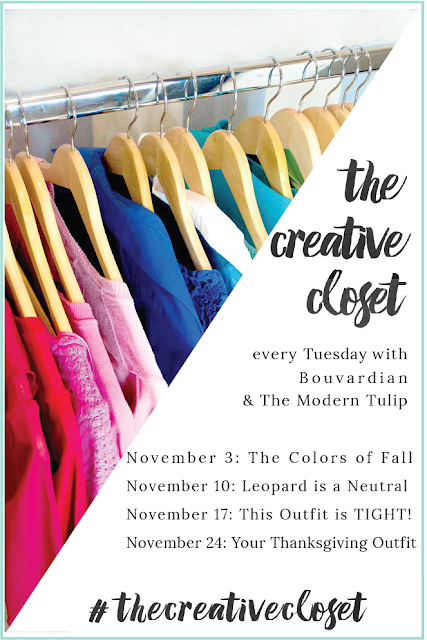 :) Thanks for hosting this linkup every week, I will miss it and look forward to seeing all your other future fashion posts!